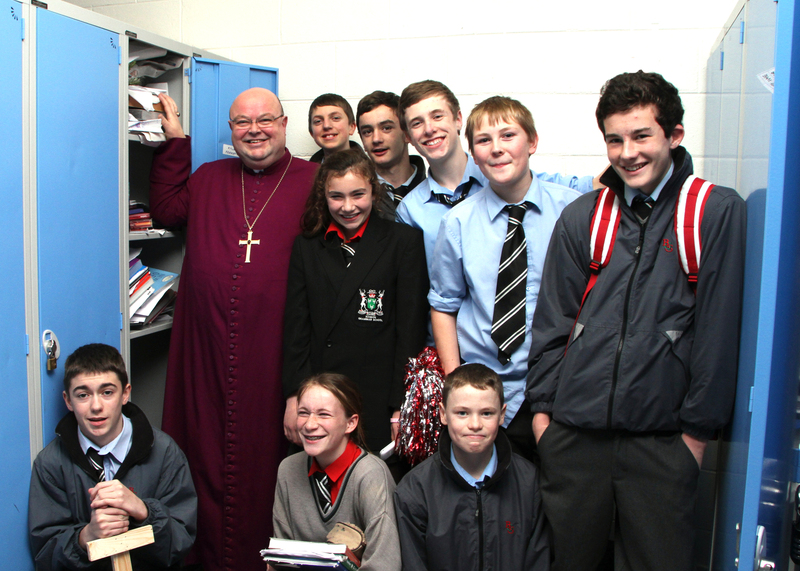 On a visit to a packed school sports hall at Bandon Grammar School on Thursday, 12th December, Bishop Paul Colton told students that our Christmas celebrations have become so packed with ‘stuff all over the place’ that we can lose sight of the meaning of it all. 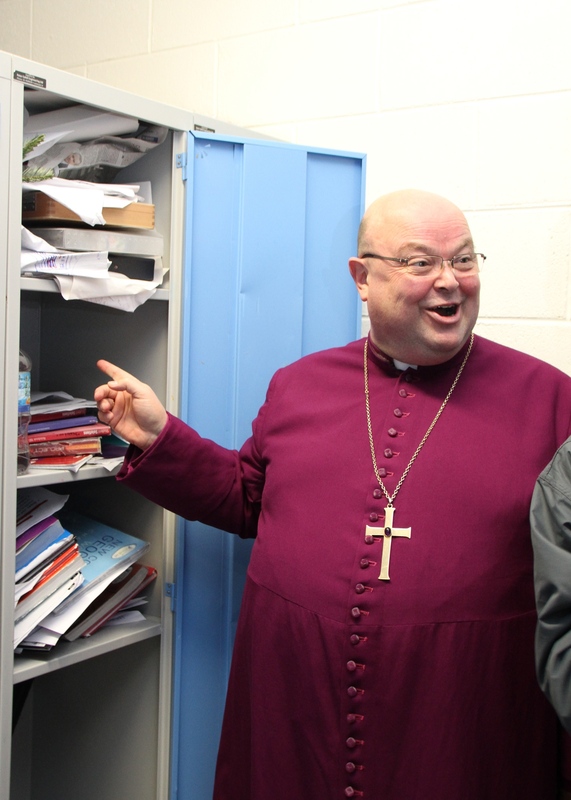 After the Service organised by the school chaplain, the Reverend Anne Skuse, the Bishop, while walking through the locker area, sprung an impromptu ‘examination’ of some lockers on a group of students, to reinforce his point. ‘How do you find anything you really need in there?’ he joked. The School Carol Service was attended by students, staff, local clergy, the chairperson of the school board (Canon Paul Willoughby) and representatives of local charities who were presented with the fruits of the school’s Christmas collections and a huge number of hampers assembled by the students. This entry was posted in Bishop, Christmas, Diocese, Schools in the Diocese, Special Events. Bookmark the permalink.